Sprint Print | Printing done right. Digital printers print directly from a digital file on a computer or from a hard copy in colour or black & white. Digital printers are best used for small runs or proofs. Sprint Print provides a quick and low-cost photocopying service to reproduce any of your documents. Sprint Print is the only location in Durham region where you can get your heavy materials repaired. Dan can repair and manufacture with materials such as canvas, tarp, leather, vinyl, kevlar, and others. Book bindery is the process of assembling a book from an ordered stack of paper sheets. We are able to bind your pages with wire-o, cerlox, glue, or saddle stitch. Flexible, reliable phone plans starting at $9.95, served by Canada’s leading VOIP provider. Your product process starts with a concept of what your end product will become, this will involve creating a design for your printing needs. You can supply the design for your print, or we can work with you to create a functional and impactful piece. Once the design is proofed, it will go to print. Printing can be done offset or digitally depending upon the requirements of the job. Offset printing is more cost-effective for larger runs and typically produces a higher quality with more colour options, ink types, durability, and weather resistance. Digital printing is more cost-effective for short runs, proofing, photocopies, and is recommended for variable data prints. Finishing your job can be as simple as placing your job in a box, but could also involve folding, binding, drilling, perfing, numbering, glueing, cutting, stapling, waxing, or bundling. 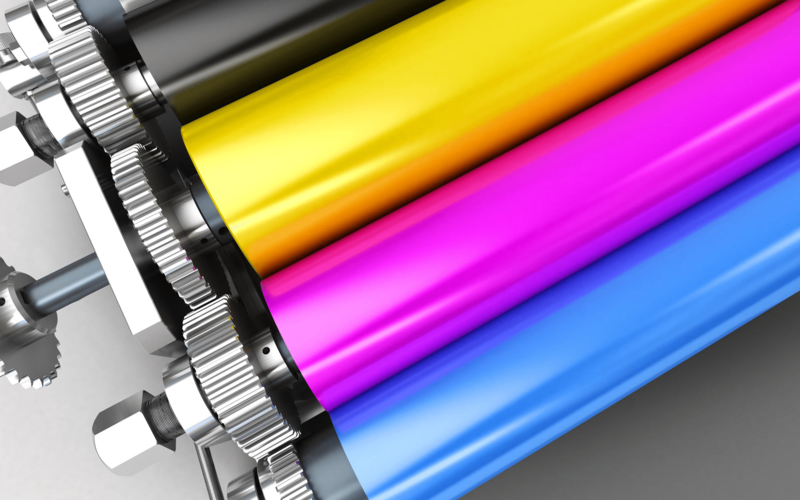 Offset printing is a cost-effective method of printing for larger printing needs. If you are in need of many copies of a job, consider offset printing. Drilling, numbering, binding including wire-o, and cerloxing is available. Digital printing gives you the flexibility and wide range of options for personal and small volume print jobs. If you are in need of photocopy of a report or need a large PDF document printed, digital printing will be the way to go. A website is a portal that will allow potential customers to get an idea of what your business is about, and to get in touch with you from anywhere. Small business websites start at $975.